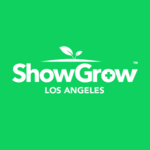 ShowGrow – Los Angeles is a certified medical cannabis dispensary that offers a unique customer experience along with a variety of cannabis products matching diverse medical needs. The dispensary is open every day from 10am to 8pm. The product range includes over 80 different Indica, Sativa and Hybrid strains, around 150 extracts, over 200 kinds of edibles, along with various topicals, prerolls and smoking accessories. All products are made by well-known brands and checked for high-quality and potency. The knowledgeable budtenders will do their best to help buyers find their personal effective marijuana medicine and provide a free consultation on the types of mmj and its effects on human body. ShowGrow believes in the essence of creating a welcoming atmosphere as well as absolute customers’ security and privacy so that the patients, who enter here could feel secure and relaxed.